For wide application of a dendritic cell (DC) vaccination in myeloma patients, easily available tumor antigens should be developed. 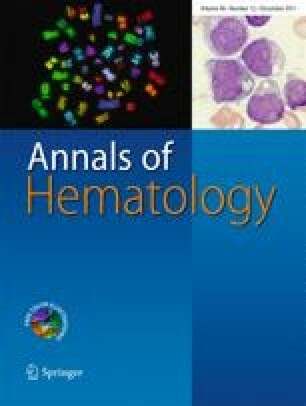 We investigated the feasibility of cellular immunotherapy using autologous alpha-type 1-polarized dendritic cells (αDC1s) loaded with apoptotic allogeneic myeloma cells, which could generate myeloma-specific cytotoxic T lymphocytes (CTLs) against autologous myeloma cells in myeloma patients. Monocyte-derived DCs were matured by adding the αDC1-polarizing cocktail (TNFα/IL-1β/IFN-α/IFN-γ/poly-I:C) and loaded with apoptotic allogeneic CD138+ myeloma cells from other patients with matched monoclonal immunoglobulins as a tumor antigen. There were no differences in the phenotypic expression between αDC1s loaded with apoptotic autologous and allogeneic myeloma cells. Autologous αDC1s effectively took up apoptotic allogeneic myeloma cells from other patients with matched subtype. Myeloma-specific CTLs against autologous target cells were successfully induced by αDC1s loaded with allogeneic tumor antigen. The cross-presentation of apoptotic allogeneic myeloma cells to αDC1s could generate CTL responses between myeloma patients with individual matched monoclonal immunoglobulins. There was no difference in CTL responses between αDC1s loaded with autologous tumor antigen and allogeneic tumor antigen against targeting patient's myeloma cells. Our data indicate that autologous DCs loaded with allogeneic myeloma cells with matched immunoglobulin can generate potent myeloma-specific CTL responses against autologous myeloma cells and can be a highly feasible and effective method for cellular immunotherapy in myeloma patients. This study was financially supported by Grant No. RTI05-01-01 from the Regional Technology Innovation Program of the Ministry of Commerce, Industry and Energy, Republic of Korea.